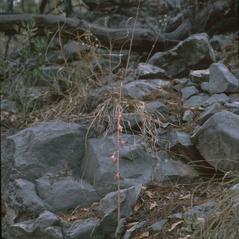 Hexalectis colemanii, Coleman's Coral Root, is a rare species believed to be endemic to southern Arizona until populations were recently discovered along the border in southwestern New Mexico. 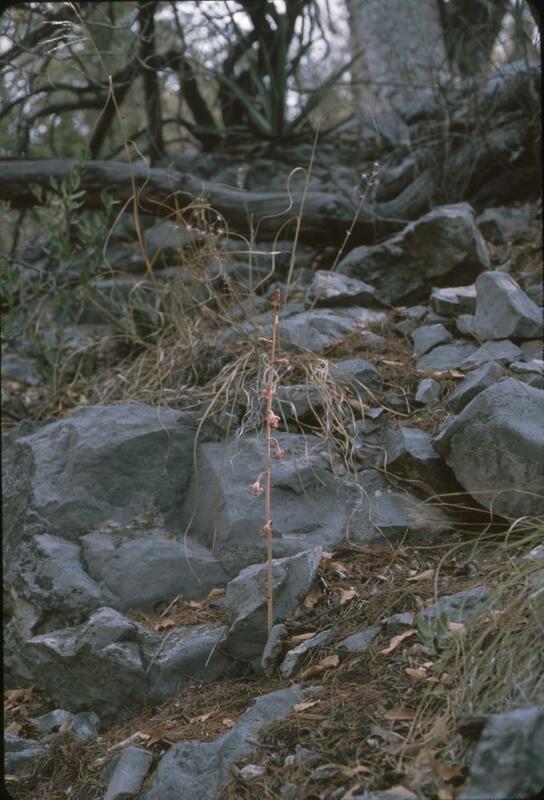 This leafless orchid has rolled back sepals and lateral petals that closely resemble H. revoluta and was formerly considered a variety of this species, until DNA analysis demonstrated a separate species designation is warranted. Hexalectris colemanii grows in oak woodlands on the edges of canyon bottoms and on slopes leading up from the canyon. Hexalectris colemanii is considered imperiled. Mining, livestock grazing, nonnative invasive plant species, wildfire, drought, and climate change have been identified as potential threats to this orchid. The U.S. Fish and Wildlife Service has reviewed its status and determined that listing H. colemanii as threatened or endangered under the Endangered Species Act is not warranted at this time.